Cockspur hawthorn is a flowering tree with horizontal branches spiked with large thorns. Thornless cockspur hawthorns are a user-friendly variety that allow gardeners to invite these North American natives into the garden without those thorny branches. 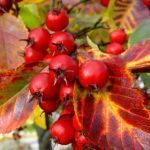 For information about thornless hawthorn trees, including tips on how to grow a thornless cockspur hawthorn, read on. Anyone having a close relationship with a cockspur hawthorn (Crataegus crus-galli) probably has scratches to show for it. These dense shrubs, native to eastern Canada and the United States, bear long, sharp thorns that can draw blood. Like the species plant, thornless cockspur hawthorns grow into rather short trees with broad, rounded canopies and horizontal braches. They top out at about 30 feet (9 m.) tall and equally wide. Thornless hawthorn trees usually are low-branched with dense foliage. Sometimes they are seen growing as large, flat-topped shrubs. Thornless hawthorn trees sport dark-green leaves during the growing season, then flame red, orange and yellow in autumn. The trees lose their leaves in the winter and regrow them in the spring. White flowers that appear in early spring turn into red berries. These berries ripen in fall. They hang on the trees well into winter, providing desirable food for wild birds and small mammals. 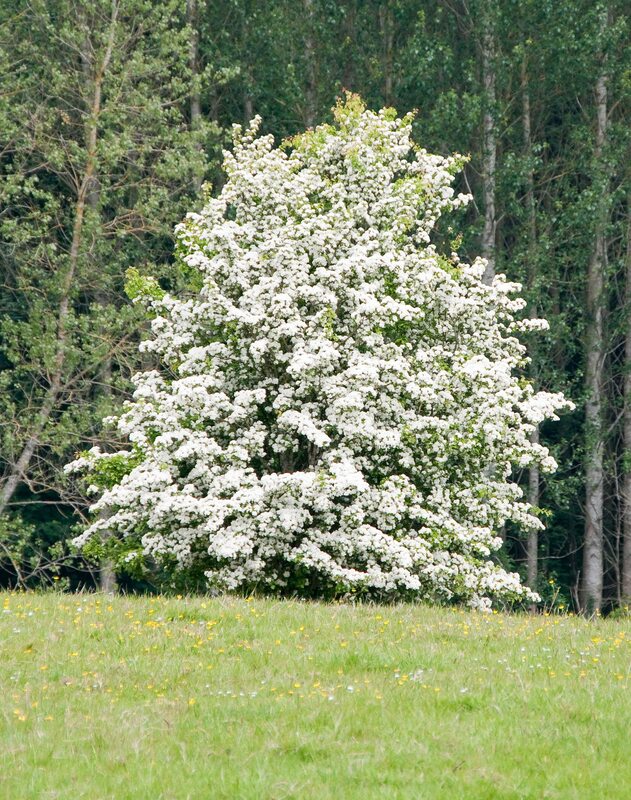 If you are thinking of growing a thornless cockspur hawthorn, you’ll find the tree an ornamental delight in a garden. They have the distinct advantage of not being armed and dangerous, as well as the best characteristics of the hawthorn. These deciduous trees grow in U.S. Department of Agriculture plant hardiness zones 4 through 8. If you want to know how to grow a thornless cockspur hawthorn, the first tip is to plant it in a sunny location. They need six hours of direct sun to thrive. Caring for thornless hawthorn and keeping them healthy is easier if you plant them in moist, well-drained soil. They grow in both acidic and alkaline soil. Although thornless hawthorn trees develop drought tolerance, you can avoid any possibility by proper irrigation. Make an occasional water part of your routine in caring for thornless hawthorn trees.